Steve Ograyensek grew up in Western PA and spent some time in Detroit, Michigan--cities without much in the way of tennis facilities. 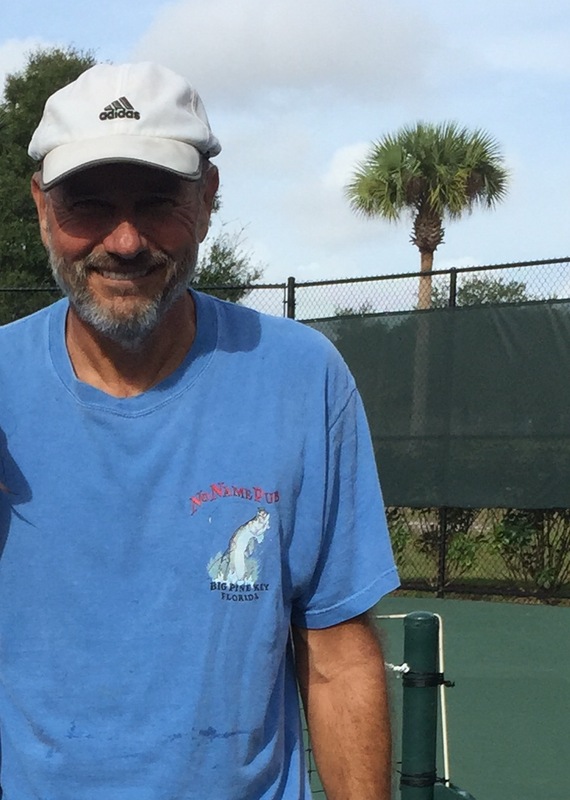 Fortunately he's found his way down to Central Florida where there is plenty of tennis to keep him busy during retirement. And Steve isn't just playing tennis, he's enjoying sports and activities including football, softball, biking, motorcycling, snorkeling, paddle boarding, and has recently started juggling. He believes 'the individual motor skills required of each sport greatly compliment each other in a synergistic manner in motor skills required for other sports' and it's for this reason he's crossed over into many disciplines. He's got plenty of experiences to share and we were happy to have him tell his story. Thanks Steve for joining us to answer a few of our questions. We want to share some of your thoughts and experiences about your passion for playing tennis, your experience with Tennis-Orlando.com a division of the Tennis League Network franchise, as well as a few additional questions. To get started, when did you first begin playing tennis? I always just wanted to play after seeing it on TV and having previously played baseball and football. My father got me a cheap aluminum racket to get started in the late 1960s. I have played ever since but never formally coached on any organized team at any level. As someone who has many years under their belt, what do you love about tennis? I always loved sports like playing football and baseball as a kid. Tennis is very similar to baseball such as fielding ground balls and making the play, batting, and pitching. In tennis you perform these skills every point with volleys, ground strokes, and serves, plus in baseball you're waiting around for a ground ball to be hit to you, and getting up to bat. I love singles tennis in that it is an individual sport with no one to blame for lack of success but yourself. Also love the fact that tennis is relatively low impact, hard to get injured playing, and therefore can be played well into senior years. I want to remain competitive with younger opponents as long as I can. That's definitely a worthy goal, and a great way to keep feeling young. Which league are you a member of and how long have you been participating in it? 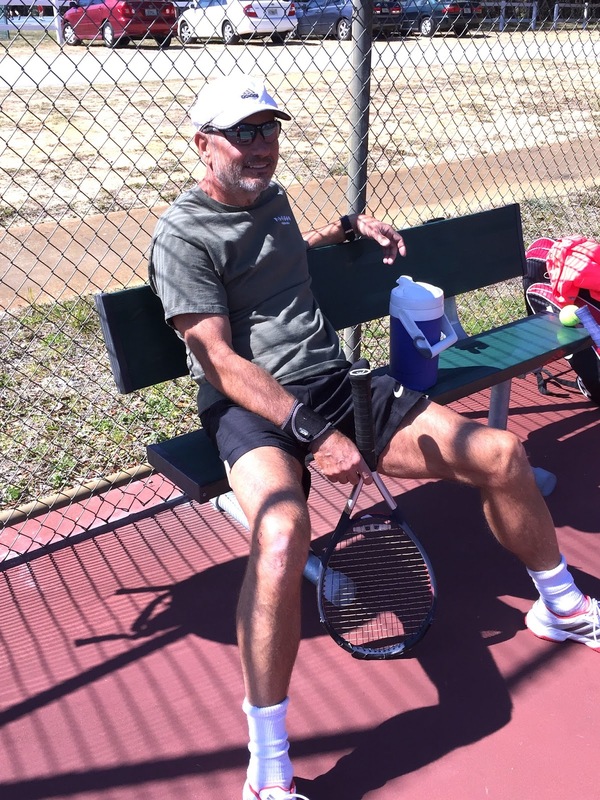 Tennis-Orlando Division A, Men's Advanced 4.0, playing in my 3rd season. And how often are you playing, in general and with the league? Meeting interesting people in different professions from many different places and making new friends. So far I have played league players from Brazil, Italy, Cuba, Peru, Spain, and Puerto Rico. Two were former members of national Olympic teams (not in tennis). Several were former collegiate tennis players. Professions include sports director, web application designer, MD /Psychiatrist, computer programmer, lawyer, salesmen, and local small business owner. Ages range from the mid 20s to over sixty. ( I believe I am the oldest player at 61). All are highly competitive and excellent sportsman. The tennis league seems to attract accomplished individuals from all over the world. You must have had a lot of interesting conversations with all of them. We’re there a lot of particularly memorable matches as well? 2) Prevailed over Mark Ruiz, a much younger superior player (also former US Olympic Diver), in three sets. I should have lost but was "in the zone" and could do no wrong that match. I am 1 for 3 with Mark so far. 3) Getting 3 games in the first set off Brad Ellenwood, a younger, superior 6 ft 4 in former collegiate player. Lost second set 6-0. I am 0 for 3 with Brad so far. Of those players, would you consider any of them rivals? I enjoy the challenge of playing Brad Ellenwood and getting any games knowing he is the far younger, taller, superior player. I’m sure finally beating him would be pretty rewarding. Roger Federer; poetry in motion. He makes everything look easy. Conditioned to the point where he plays a long five set match and can meet with the Press afterward as if he had done nothing physically demanding. Do you have any other interesting comments about your experiences with the league before wrapping up? I like the user friendly web site listing all publicly accessible courts, league rules encouraging players to share fees and meet half way, and completely flexible scheduling. Also like the profile information available on opponents including their legacy match records, favorite players, shots, preferences, and photos. Great stuff Steve, and thank you again for taking the time to do this interview. Have fun out there this Spring!